Scott Homes was established in 1980 by Mr Noel Scott. 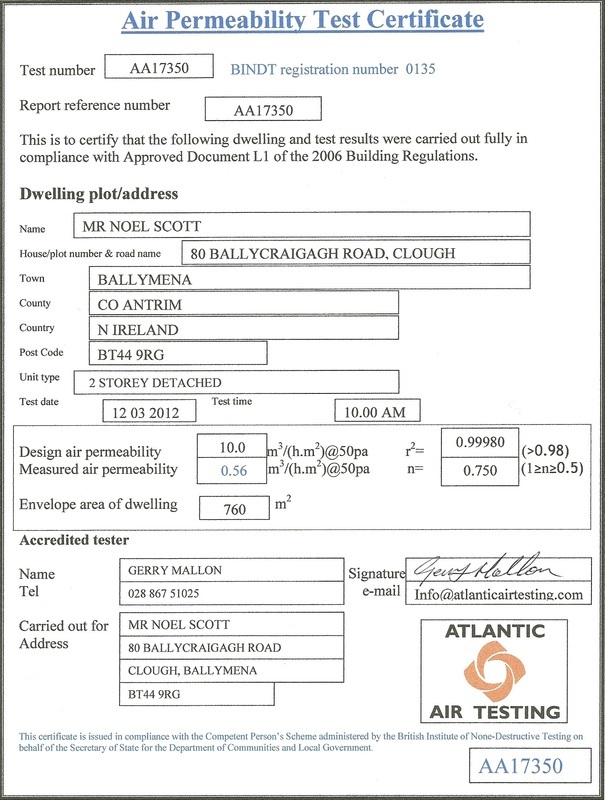 Since then they have been responsible for numerous projects in the North Antrim area. Nowadays most contracts are from previous customers or friends and relations of previous customers who appreciate the attention to detail, knowledge and experience that has been gained over the past years. In recent years Noel has been very aware of the rising cost of heating your home. He has done a lot of research on how to build more energy efficient homes and has built up a team who understand the importance of additional insulation and the care needed when fitting so as to have good air tightness another very important part of modern building. 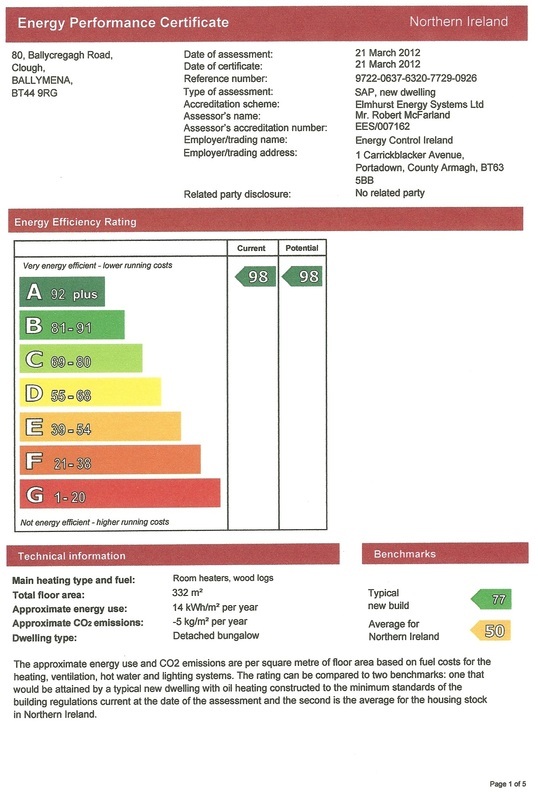 Two recently constructed dwellings receiving A rated energy performance certificates with air tightness as low as 0.56. 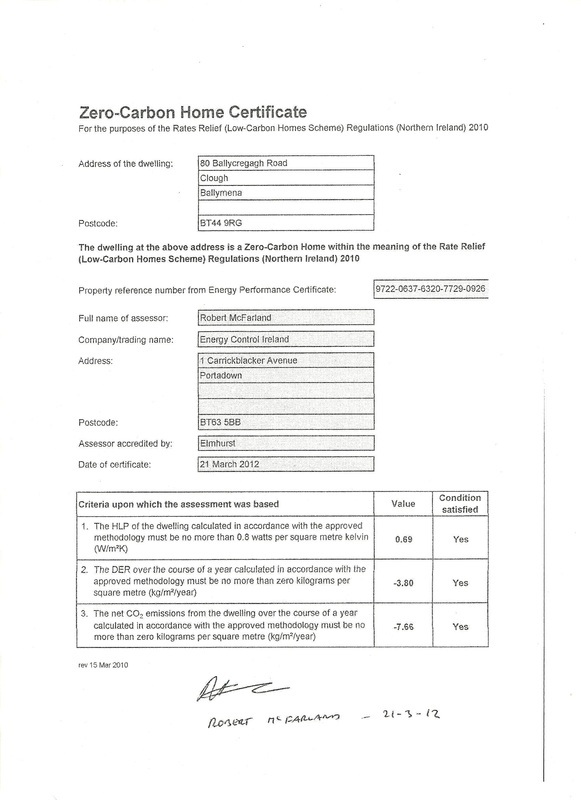 Copies of recent EPC, Air tightness certificate, Zero carbon certificate.